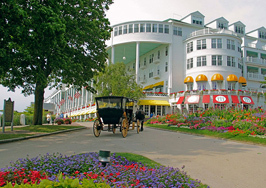 Macinac Island is a place out of time where horse-drawn carriages abound and romance is waiting just around the corner. 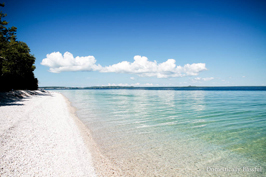 Take a trip across the straights to the Island to relax with your sweetheart away from the hustle and bustle of a world with motorized vehicles and let yourself get swept away by the romance of a time gone by. 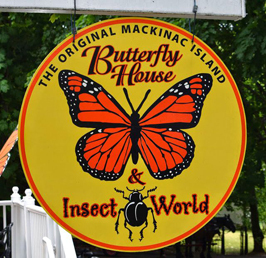 Sit on a rocking chair overlooking the Straits of Mackinac from the world’s longest porch while enjoying the fresh island air. 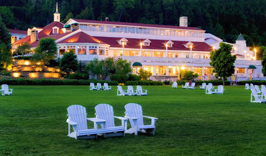 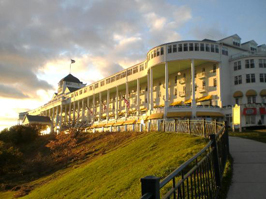 Stay at the same hotel that was featured in the movie “Somewhere In Time”. 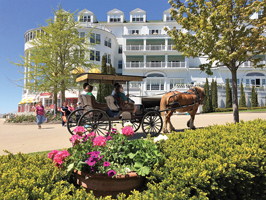 Be swept away by the romance of a stay on the island where horse drawn carriages are the method of transportation. 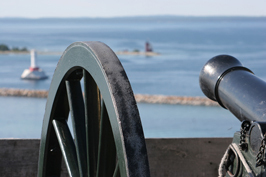 Experience history. 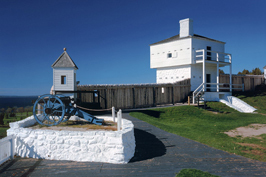 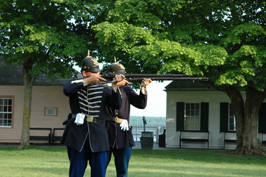 Tour the island and stop by the fort for a reenactment of the past. 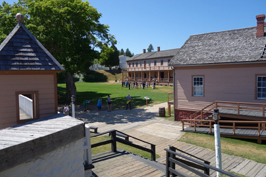 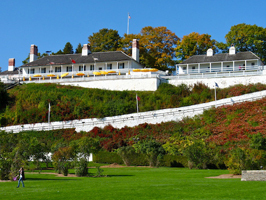 “Founded in 1780, Fort Mackinac is a walled cluster of military buildings on a coastal bluff.” For the couple with a love of hiking and history, this is the spot for you. 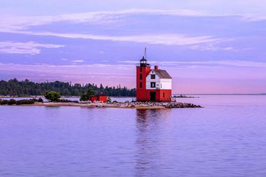 Stand on the bluff and watch the tide come in with your sweetheart for a breathtaking view. 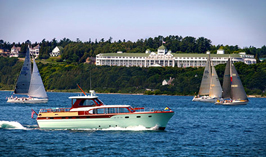 To get to the island, a couple will have to take the ferry. 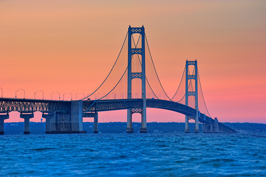 The ferry to the island will show you some of the sights outside of the island like the Mackinac Island Bridge and the lighthouses that dot the Mackinac Straight. 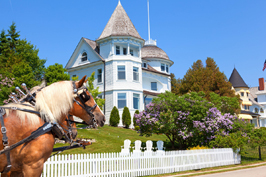 Once on the island, tour the island on a bike, by foot or via a highly recommended carriage ride. 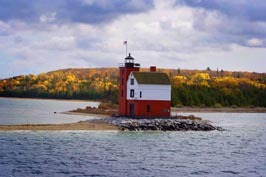 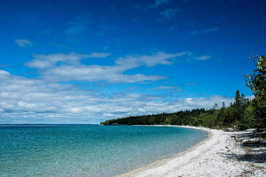 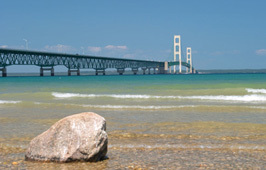 One of the more unique experiences that a couple can have while visiting the island is to charter a sailing boat to sail the Mackinaw Straights. 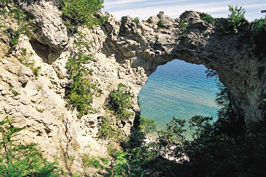 Mackinac Island is a museum piece all by itself. 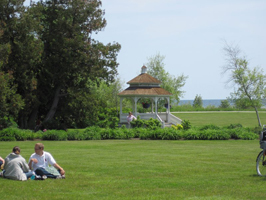 Much of the island is a historically preserved park, however there are a few things to see beyond the historical sights when visiting the island for a taste of culture. 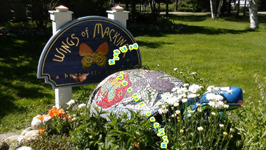 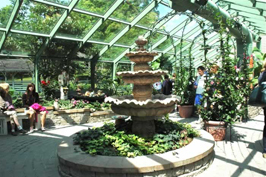 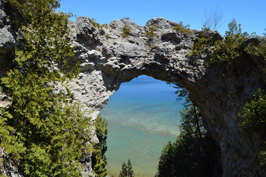 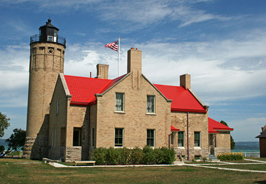 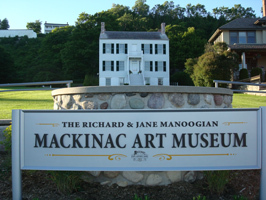 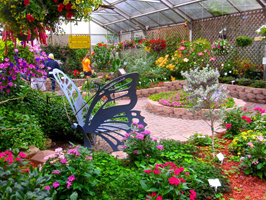 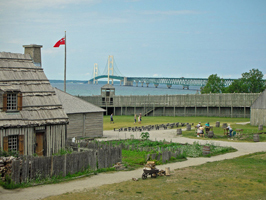 There is a romantic butterfly house and the Richard & Jane Manoogian Mackinac Art Museum on the island to visit as well as a historically preserved fort. 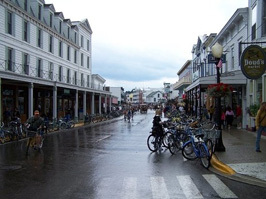 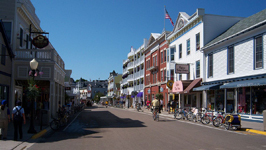 Be sure to stop downtown for a wonderful shopping experience and while you are at it, buy some Mackinac Island Fudge, a treat you won’t forget. 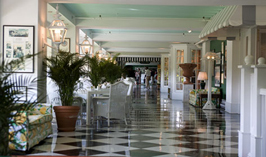 There is also a lively music and bar scene at night for those looking for something livelier than touring the island.